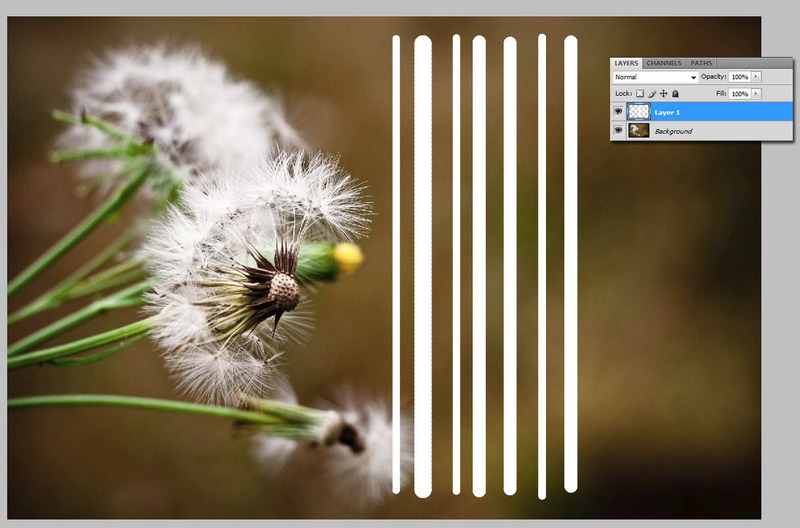 on normal mode, draw some lines down the image, varying the actual width of the white lines and distance between the lines. Make sure they are all the same length as seen below. You can also use a soft brush, but I prefer to use a hard one and blur it later. Photoshop Trick: Click where you want to start your line, then hold shift and click where you want it to end and you will get a perfect straight line! 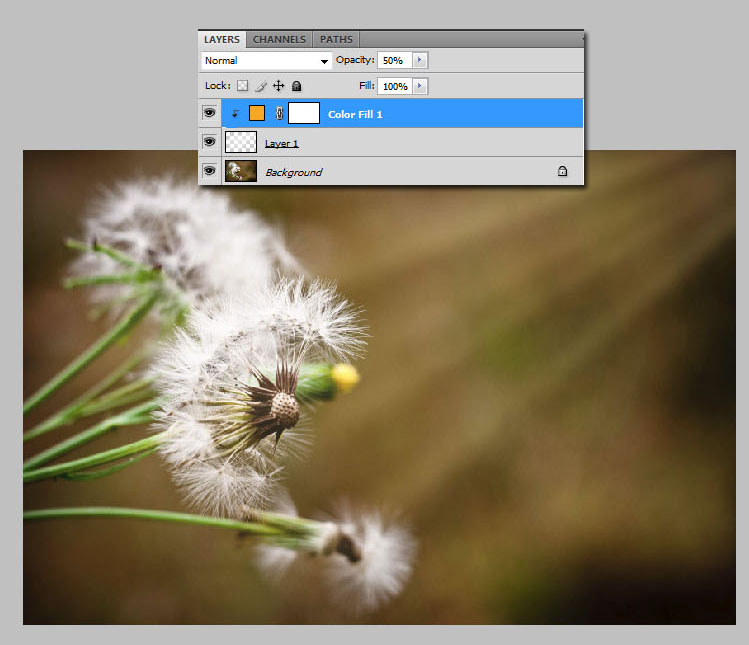 Filter, Blur, Guassian Blur your lightbeam layer until it looks soft. 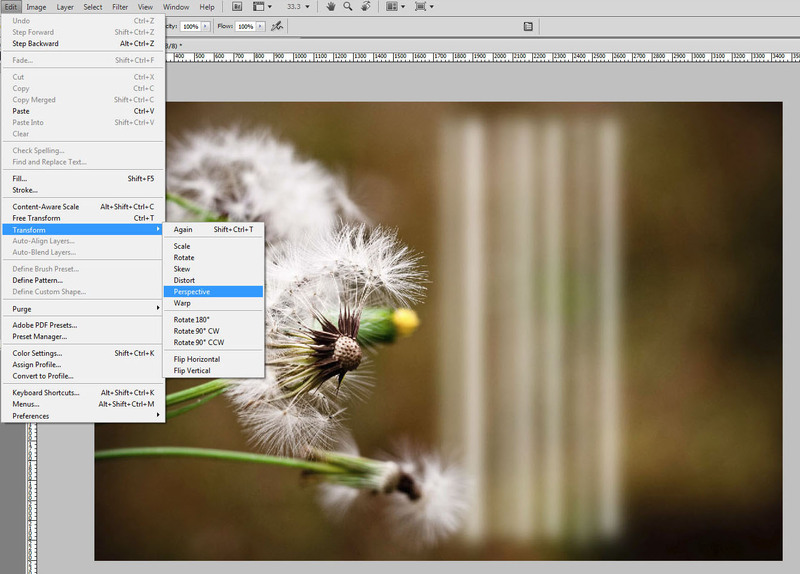 You can blur it more in a later step, so don't get too crazy here. You don't want to completely lose the beam definition. I want to transform the beams so they aren't straight lines. 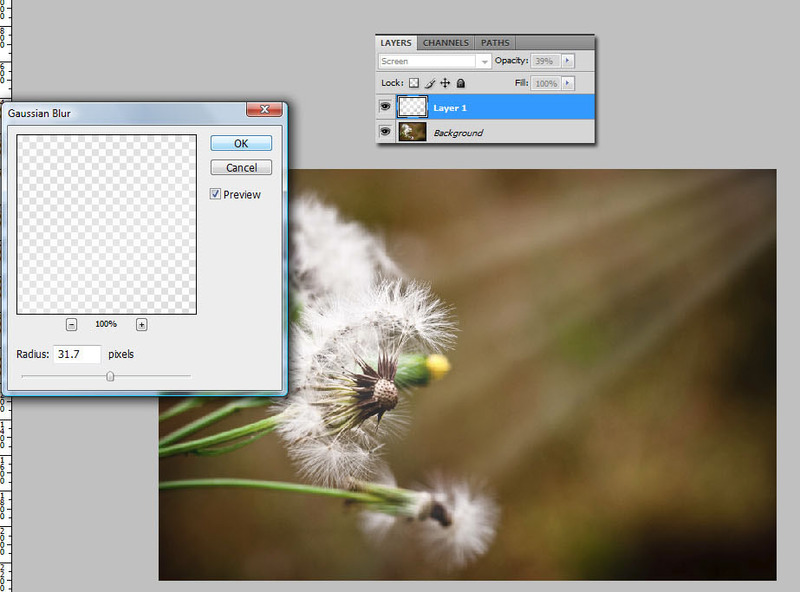 In Photoshop; Edit, Transform, Perspective (as seen below). 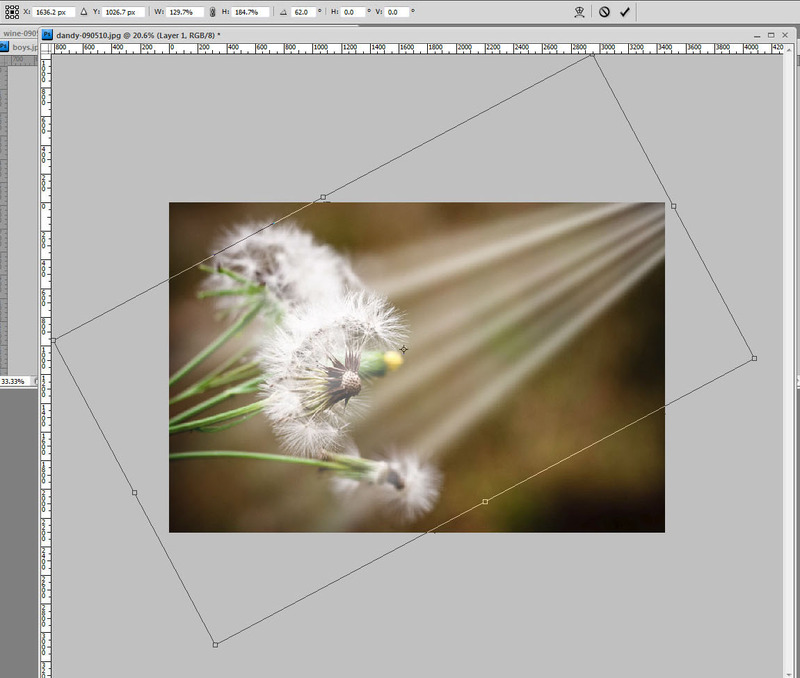 In PSE; Image, Transform, Perspective. Now pull in the top to taste. You can further adjust this later if you want. Then click the little check to accept the changes. Ctrl-T for free transform, and drag the lightbeams where you want them and adjust the corners to tilt them to taste. You can also tweak them by pulling on the sides or making them longer. 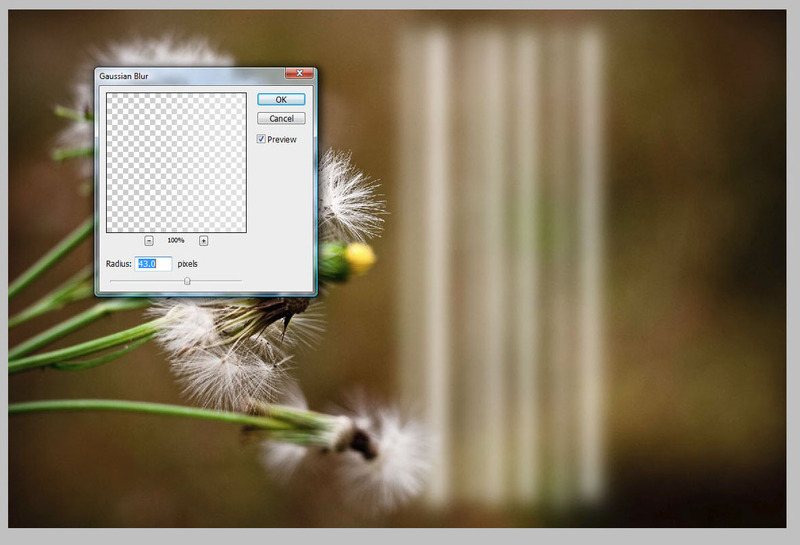 Put this layer in Screen blending mode and then adjust the opacity to taste. I want these lightbeams a bit softer, so I will Gaussian Blur them more. If you find the lightbeams too "cold", then add an orange solid color adjustment layer (or warming Photo Filter adjustment layer) on top and group it with the lightbeam layer and adjust the opacity to taste. 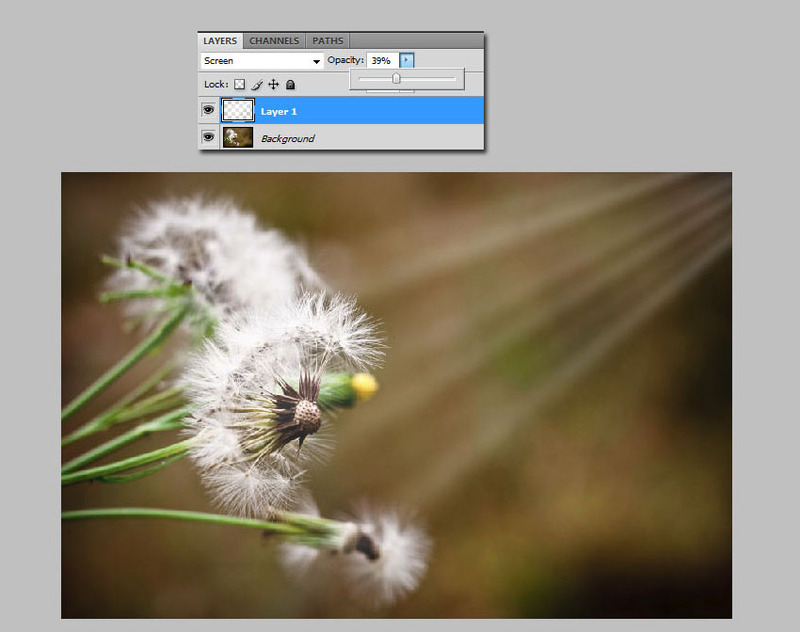 To group the solid color adjustment layer (or photo filter) with your lightbeams, click on the color layer and Alt-Ctrl-G in Photoshop or Ctrl-G in PSE. Rita, you just amaze me! Between you, Morgan and Amanda I have learned a lot more than I did in college! This is a great tutorial! Thank you so much for sharing your knowledge, I really appreciate it. Wow! Thanks for sharing:) Great tutorial and PS tips too. thank you so much for this tutorial, I finally are able to do some projects with your help, thanks so much for sharing. Love this tutorial...Thank you! I would love to see a tutorial on creating brushes!!! Fantastic tutorial. I'm struggling along on my own, trying to learn from a book - and your tutorials win hands-down. I save to Word so I can print them off and keep in a folder to refer back to. Thank you so much for taking all this trouble; your help is invaluable. SUper tutorial. I always love to learn how to do things myself. I do love the actions and brushes as well, but for sure like to know how it was done. Thanks again for giving us another wonderful tutorial. 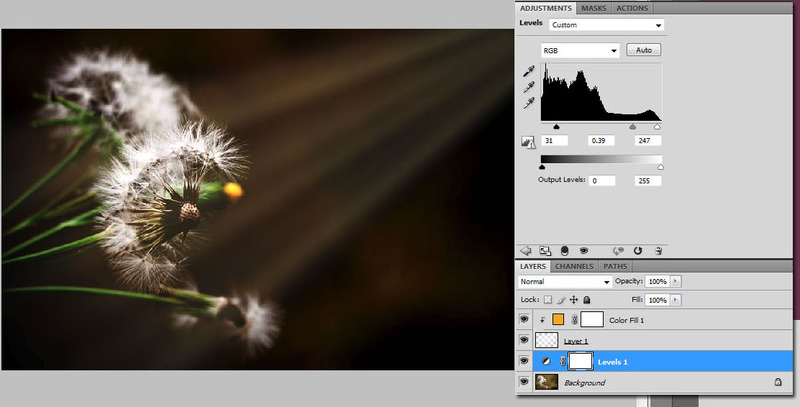 Great tutorial-very easy to use and I'm looking thru my pics right now to use it on! This tutorial is awesome!! I've wondered how to do it and now I know. Will definitely play with that trick this evening. Okay, I didn't wait. I did it right now. Seriously cool! I am so excited to have learned that. Thank you!!! I had a picture of a creek going through the woods (a cousin gave it to me to edit) and it added such a nice touch to the picture. I have no idea how to use the brush in the first step. Where do I find that? I have PSE8, and am really trying to figure it out, but I am lost! What I have no idea about is where to find the brush to use in the first step? I have PSE8, and am really trying to learn, but I am lost in the PSE world!! 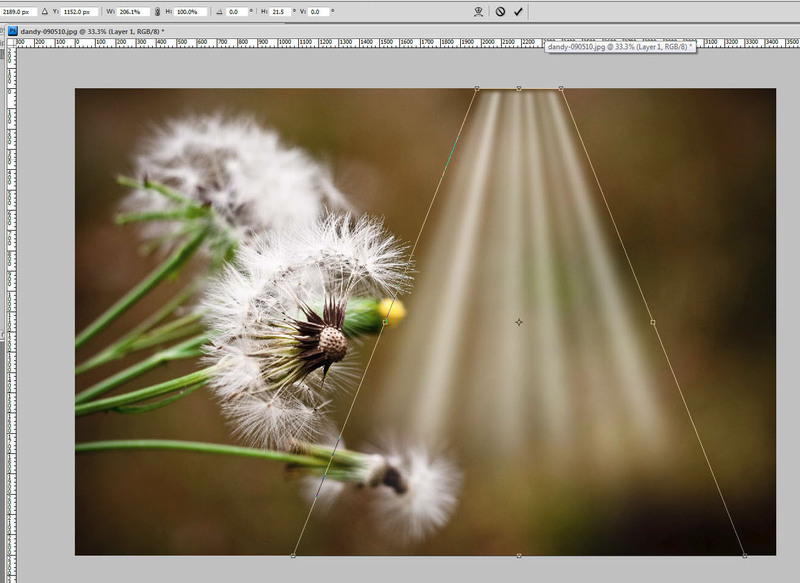 Look at the left hand side of your screen in Photoshop Elements. There are a bunch of different symbols. One of them looks like a paint brush. When you click on it a box will appear at the top of the page. It will show you different size circles, some with rough/soft edges, some with sharp edges and different sizes. There is also a slide bar that allows you to change the size of the brush you choose.